Language is surely a strikingly complex object to study. It is built upon many thousands of items that are often ambiguous. Also, they hold manifold relationships with each other, sometimes for the sake of structure (syntax), and others for the sake of their meaning (semantics). As difficult as it may be to study or model these phenomena, complexity further increases when language is placed in a cognitive context: linguistic production and comprehension processes occur proficiently in the mind while many other processes are concurrently interacting. Finally, to close the loop, one has to consider that linguistic performance results from neural activity. Language, thus, is a complex changing-in-time object efficiently managed in a complex mental context, which in turn is embodied in the most complex known system: the brain. Given these facts, complex network theory appears as a most useful tool to tackle different problems. Capitalizing on this theory, one can study structural aspects: language learning or language loss (due to disease, for example) can be modeled as topological growth (node and/or edge addition) and decline (node and/or edge destruction) respectively. 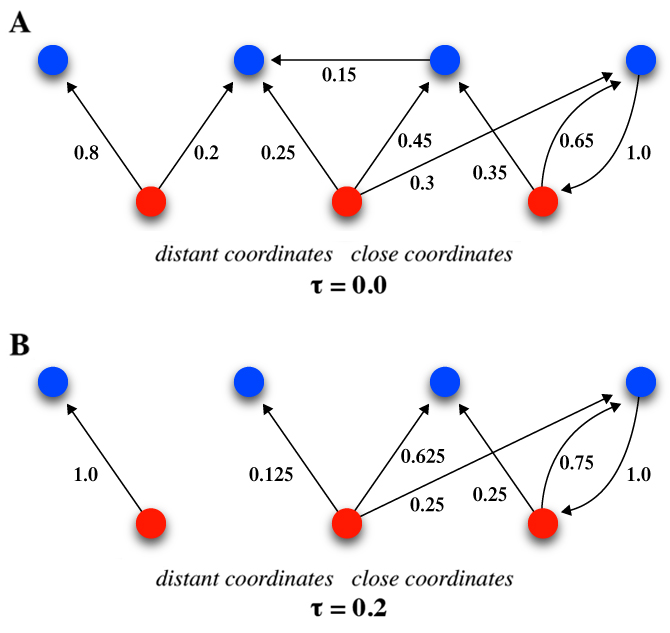 From a dynamic point of view, language-related cognitive processes can be assimilated to search and navigation problems in a graph, and the semantic meaning of words can be viewed as an emergent property of the complex interactions among them.